Jennventures – every day's an adventure. It is weirdly strange to not have reading or problem sets occupying every minute of free time. Earlier this week I lounged on the couch all evening with a book, and yesterday we had dinner with friends and I could order a drink because there was no work to do when we got home! Woohoo! It’s the little things in life. 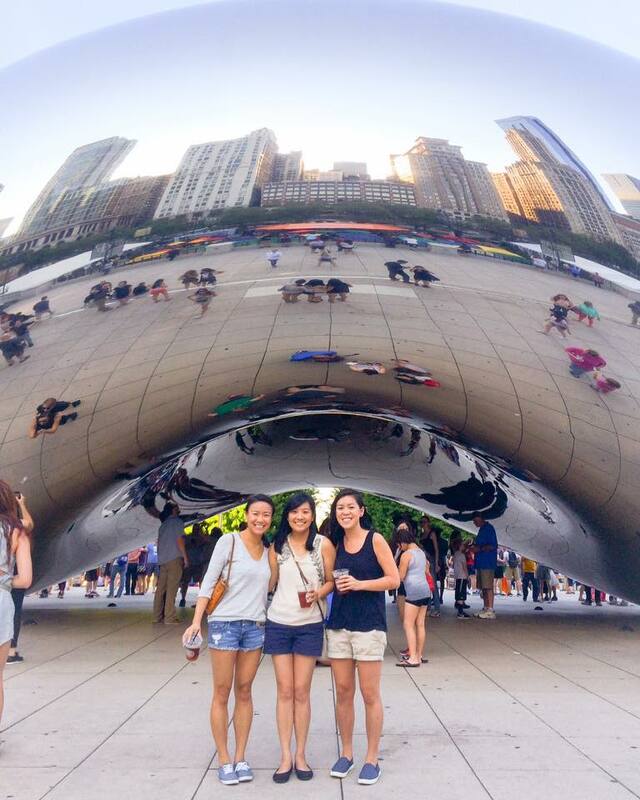 Reunited at the Chicago bean! Along with showing me all the cool spots Melissa and Christa also supplemented hilarious commentary that I’m still not sure I trust. 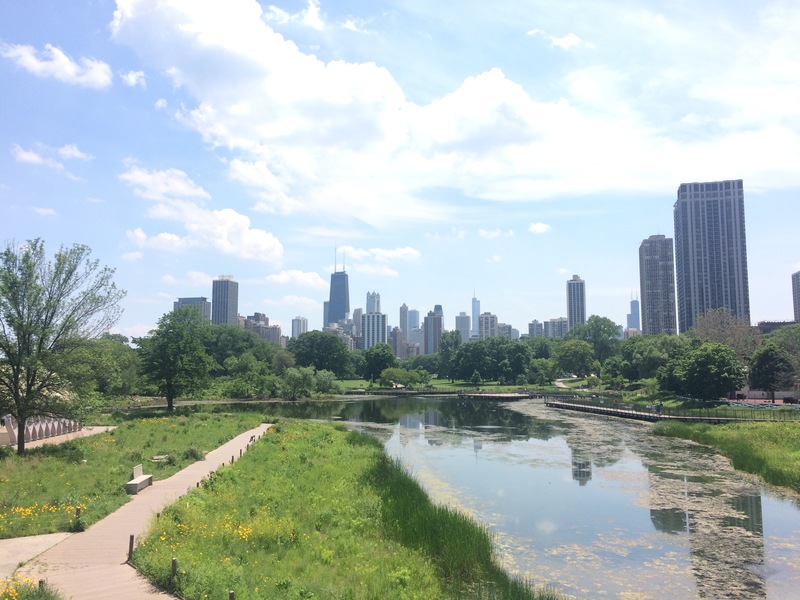 A gorgeous shot of downtown Chicago from the Lincoln Park Zoo (which was free to walk through). Luckily it decided not to storm the weekend I visited, and we were able to take the L and walk around the city. Chicago in the summer reminds me a little of Seattle – everyone is outside on the patio or at a festival making the most of the sunshine. The weather, however, was not Seattle-like: 90 and humid. While it wasn’t as terrible as the humidity in Taiwan or Florida, it’s definitely sticky. My skin went berserk – I’m currently thankful for temperate Seattle weather and Aveeno’s ultra-moisturizer. The view looking west from Millennium Park (where the bean is). 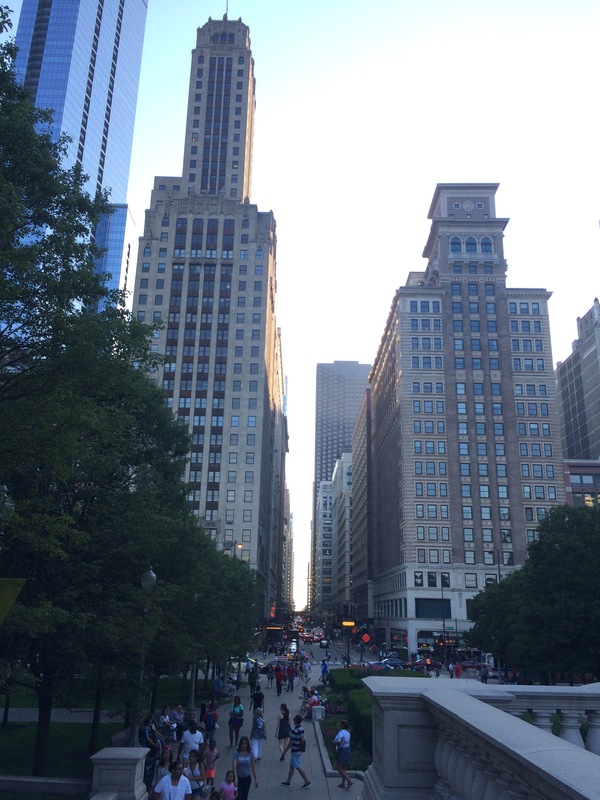 I was surprised to find Chicago much more like New York City than LA or San Francisco. I’m not sure what I was expecting – maybe something more like LA? Chicago was most definitely a huge, bustling metropolitan hub. I felt like country mouse visiting the big city. Seattle is teeny-tiny in comparison. 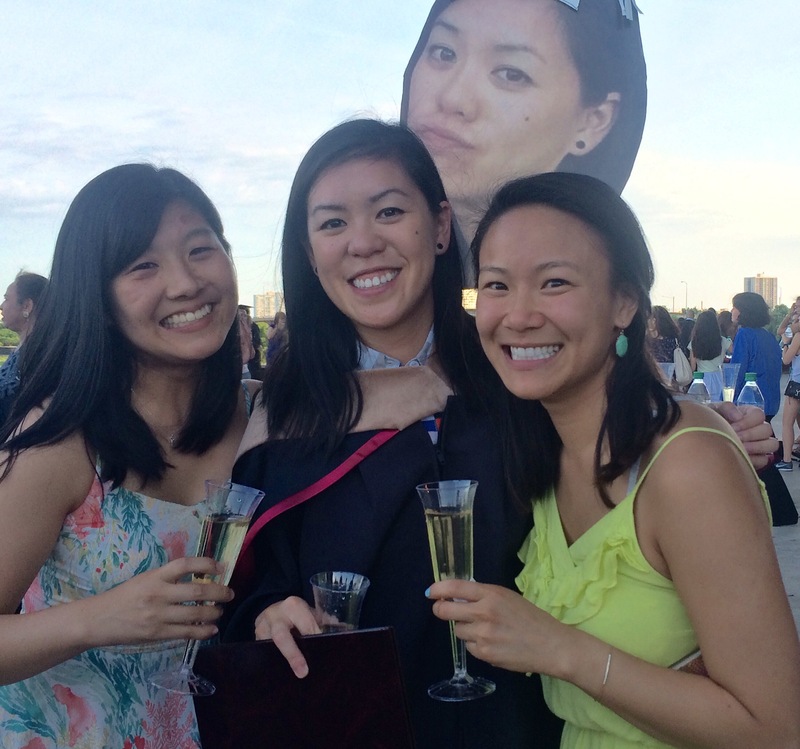 Aaand of course a photo of these beautiful and intelligent gals – I’m so proud of them both! It’s crazy to think how far we’ve come from our undergrad days. In addition to noshing on pizza, drinking loads of ice tea to cool off, and running to Walgreens to get Melissa’s face blown up on posterboard, it was fascinating to hear about their MBA programs and their experience in the full-time program. 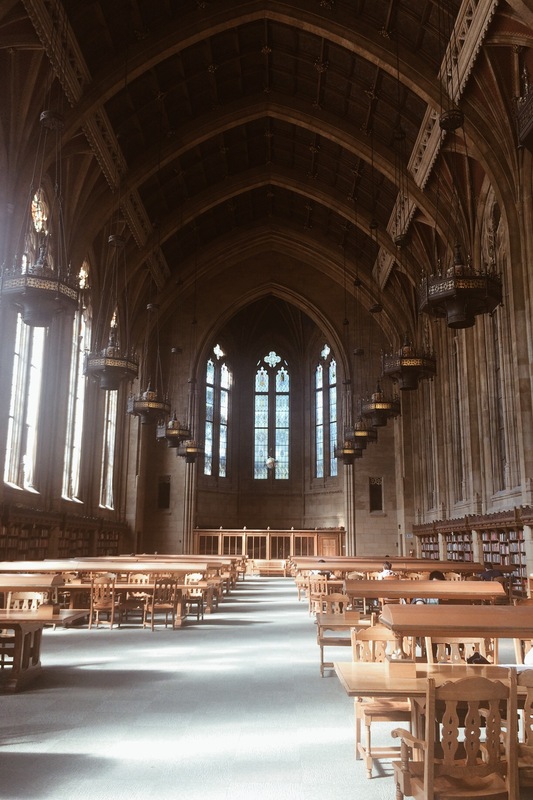 Part of me yearns for the full-time B-school experience – there’s definitely something to be said about immersing yourself into that environment. But one more year to go – it’s going to be worth it! A holiday is a big deal around here. I haven’t had two consecutive days off since spring break in March, so of course we had to make the most of Memorial Day weekend. After taking a day trip up to Vancouver with my classmates on Saturday – which was a blast and filled with SO much good food, which is why I’m on a salad detox now – we high tailed it back to Seattle, passed out at 2am, and were back up at 7:30 to drive up to Deception Pass. Crazy, right? It’s go big or go home. After much coffee to fend off exhaustion, it was the perfect day for a hike! Photo of Deception Pass taken by Wilson – doesn’t the clear water make it look like we’re somewhere a lot warmer? You can see the Deception Pass bridge in the distance. Here’s an oldie but a goodie for my sister’s 30th birthday. So crazy that we used to be those drunk little hooligans – as we get older I really have the greatest respect for all parents. As adorable as tiny humans are, they are work. Clearly a sign that I’m not ready for kids (guilty confession: I beg my best friend weekly to not have kids yet). Anyway, obviously Melody and I were perfectly behaved little angels, and today she turns 30! Whaaat. 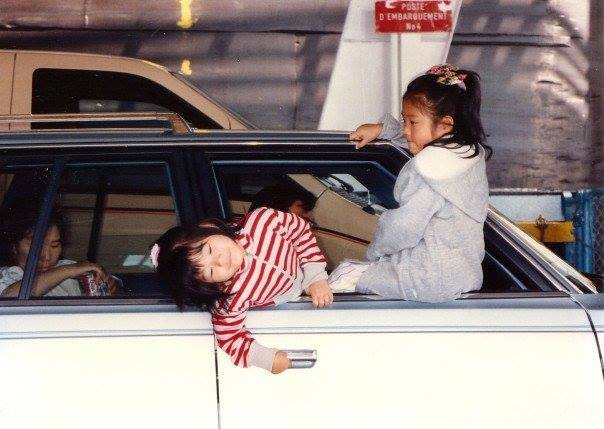 While going through some old photos to find the one that perfectly demonstrates what a great influence she was (ha), it really hit me what adults we’ve become. I mean it certainly doesn’t feel like it – our stream of cute animal videos and purchases of poodle paraphernalia suggest otherwise – but shoot, we’ve come a long way from the days when we’d fight over barbies, tear down the living room curtain rods playing ballet studio, and argue endlessly about nothing (glad those high school years are over). And now she’s going into her fourth decade – yikes, that sounds older than she is. Happy birthday Mel – wishing we could go shopping, bake a cake, cuddle with Molly, and get inspired to create some Pinterest fails today. I know I do this post every. single. year. But I can’t help it! 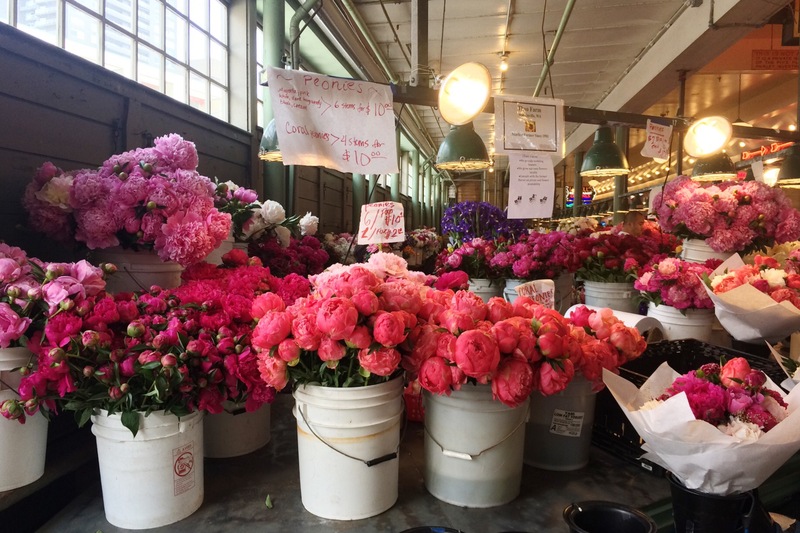 Lunchtime rolls around, I take a walk down to the market, and all my spare change disappears and reappears in the form of these flowers. 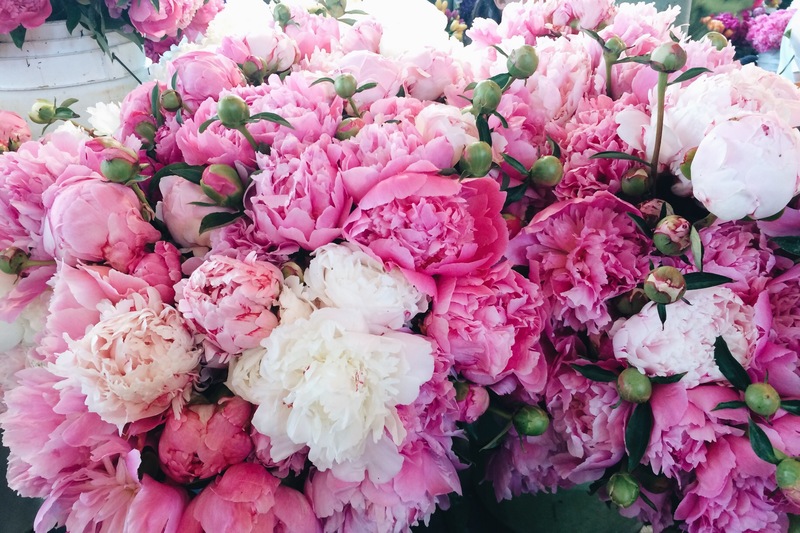 Peony season is dangerous in these parts. 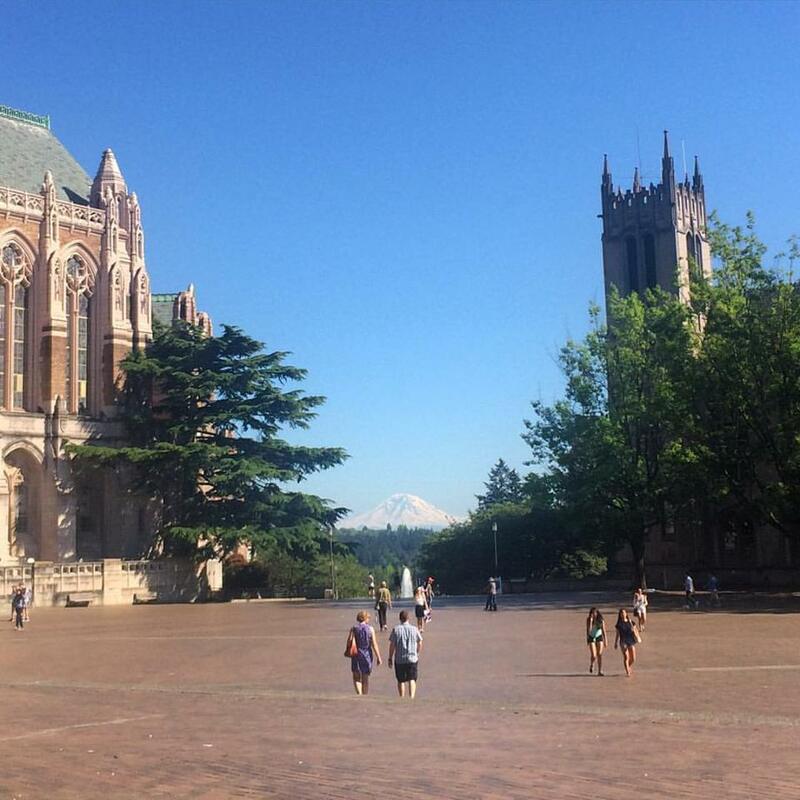 We are smack in the middle of midterms and papers, and of course the weather’s been gorgeous. Not one to squander a beautiful day, I took the long route to procrastinate studying and took the scenic walk to the library. Not really, but I turned the corner to the square and this view hit me smack in the face – and I had to be a total tourist and take a photo. Even though I’ve lived here for 3 years already ( as of last week – time flies! it honestly feels like we’ve lived here for much longer), the view of Rainier on a clear day never fails to floor me. On the bus, on the bridge, getting on the freeway – it’s kind of like the Eiffel Tower when I lived in Paris – no matter how many times I see it, that view is awe-inspiring every single time. 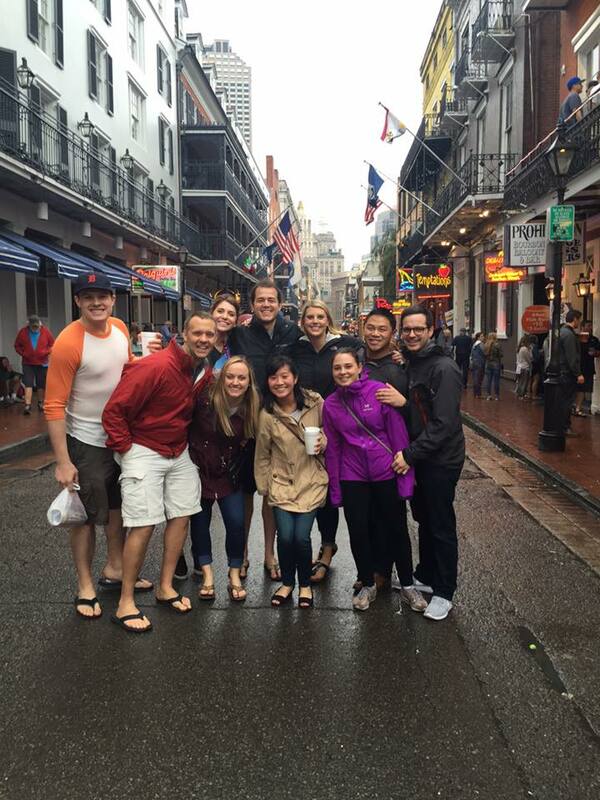 Our annual friends trip has been months in the making – NOLA for Wilson’s 30th! We had the greatest celebration surviving a southern downpour, eating Domino’s in the lobby of the Ritz at 2am, eating too many beignets, eating butter disguised as food, eating, eating, and more eating… I’m on a salad detox this week, but it’s totally and completely worth it. I love these clowns – the best Seattle family we could ask for! This trip was such a needed break from work, school, and life in general – after surviving the most intense quarter, ever (I am thankful I never need to do another microeconomics problem set ever again). 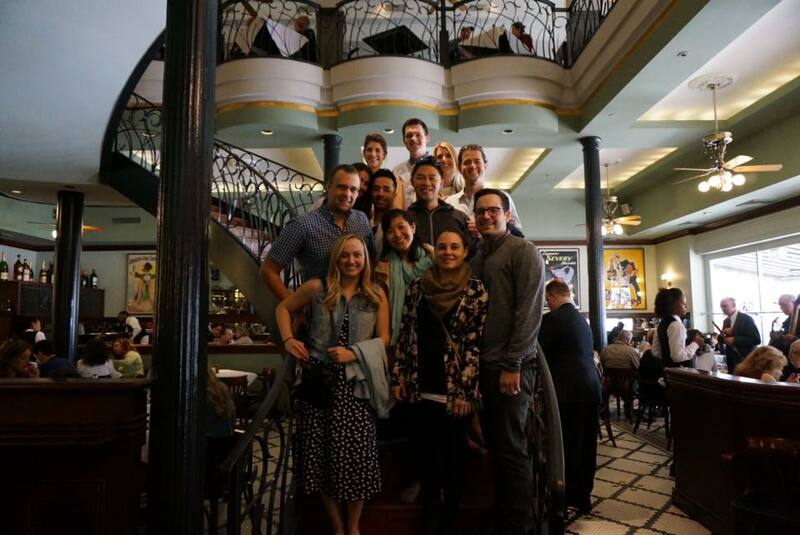 I’ve been daydreaming about NOLA since the first week of the quarter – and thanks to my busy schedule Wilson took the reigns and did most of the rallying and planning – not an easy task for a group of 10. But he did such an amazing job (we somehow got first class tickets and good rates at the Ritz – I told him he better top this for my 30th). 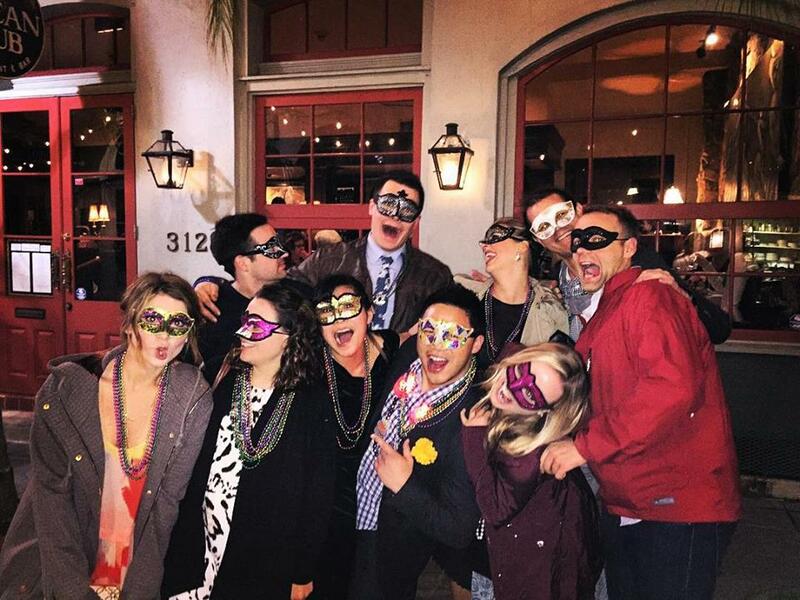 We all had such a blast and are so thankful for all our friends who flew in from all over to join us. Getting stuck in a downpour at Pat O’Briens with our hurricanes. And trying to rescue the goldfish in a bag some drunk guy was holding so he wouldn’t drink it. Buying matching cat tank tops for probably way too much $ (worth it). Ordering Domino’s in the lobby of the Ritz at 2am. We’re real classy like that. Being identified as Pacific Northwesterners because of our high-end rain gear (everyone else was in ponchos). A little rain doesn’t scare us Seattleites! Experimenting with FaceSwap in all friend combinations and cackling over them at the bar…and over dinner. 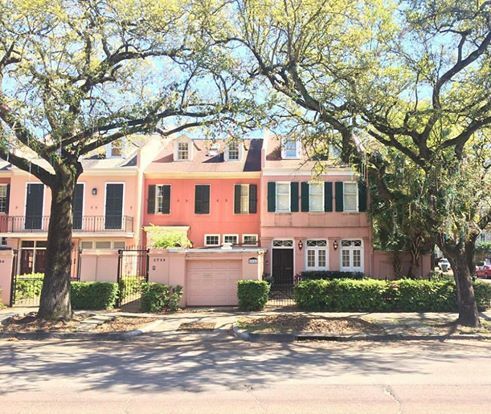 Taking the streetcar to the Garden District to admire the pretty southern houses… and then piling out as soon as we see a Cold Stones. Priorities. Spring in the Pacific Northwest is such a tease. We had one, glorious, sunny and warm 60 degree day on Saturday.It was warm enough to roll down the windows, turn up the music, and put on sunglasses – and BOOM, the next day I look up the forecast and we have two weeks of lightning and rain coming our way. Such a tease. 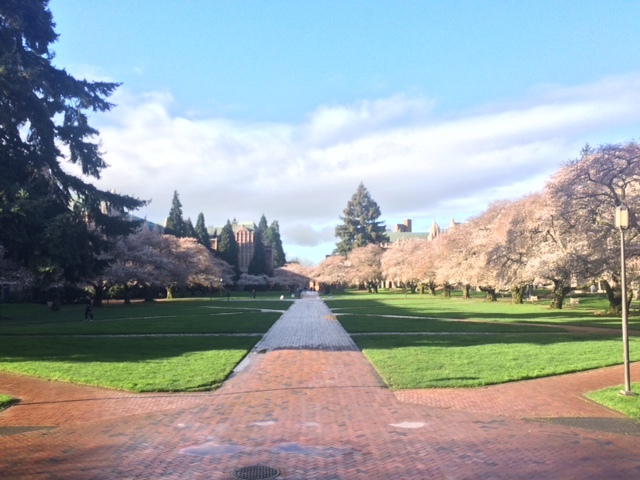 I snuck in a quick visit to the cherry blossoms at the central plaza while running late to class (can’t forget to stop and smell the flowers). 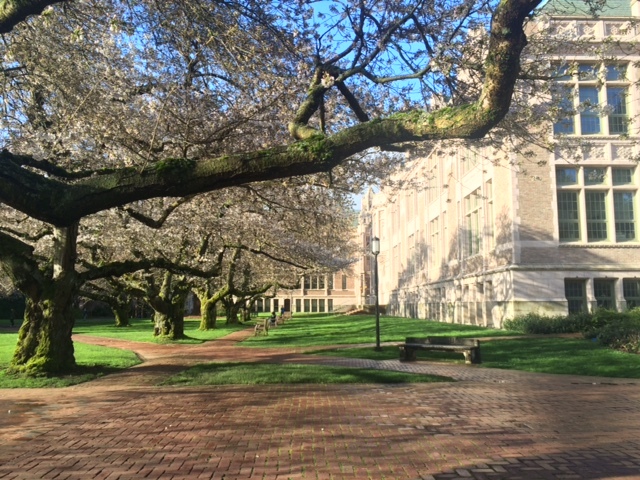 The cherry blossoms on campus are one of my favorite things about spring here – when they’re in full bloom, they look like little sticks of cotton candy in the quad – how dreamy! The cherry blossoms – I managed to catch them early in the AM before the crowds descended. In the words of my classmate, it’s a rave if you go later in the day. On the bright side, the rainy weather keeps me inside working on the last of my finals. Two more to go and I am officially on spring break! Instead of waiting for the sun to come back, I’ll be heading home to LA and Newport Beach for a college friend’s wedding, and New Orleans for Wilson’s 30th birthday! It’s going to fly by way too fast, I already know it, but I’m going to enjoy all the sunshine and free time while I can! Also on the to-do list is cleaning out our donation pile, organizing the pantry, and finding someone to fix our leaky skylight. Ugh, adulting hard here. As I chip away at my exams, I’m also planning Wilson’s 30th birthday party. We do a breakfast-for-dinner party at our place every year, where we set up a waffle or pancake bar and invite friends over, but I’m thinking since it’s the big 3-0 we need to class it up and go out! Maybe a nice diner or something that serves breakfast ’round the clock? I’ve also been brainstorming birthday cake ideas. In past years we’ve had a sprinkled mini-donut cake and mini-cinnabon cake (this guy has a serious sweet tooth, I kid you not…just like yours truly). I was thinking of just ordering a nice rich chocolate cake and calling it a day, but in a stroke of fate I saw a recipe for a belgian waffle cake today on Sprinkle Bakes – I think I may have found the perfect cake (depending on how much time I have)! I’ll keep you posted. 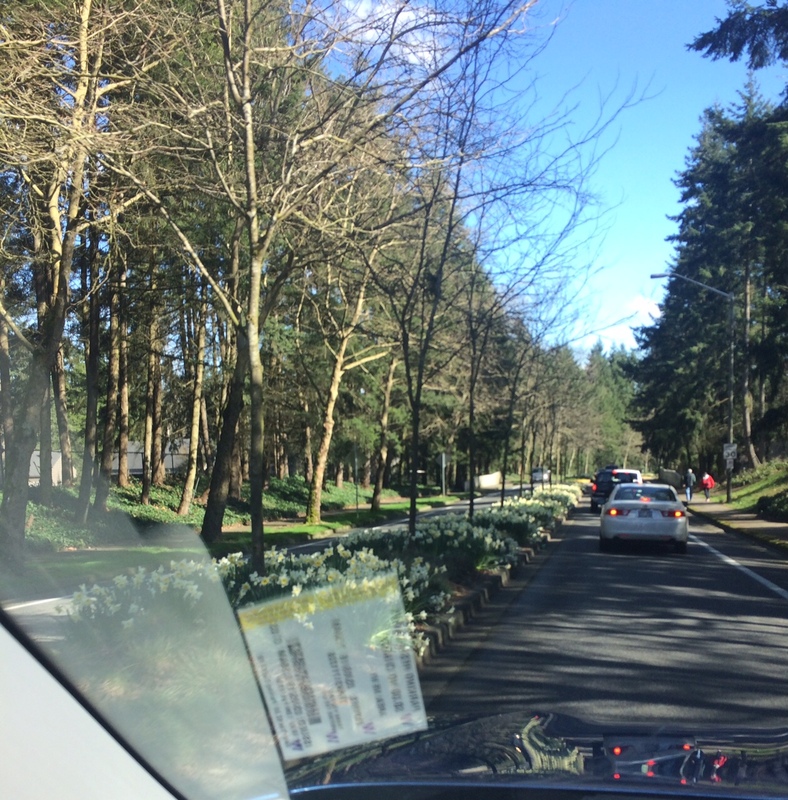 Excuse the ugly reflection of my campus permit – but the median divider on the main road by our place is bursting at the seams with daffodils! Definitely my other-favorite-thing about spring.